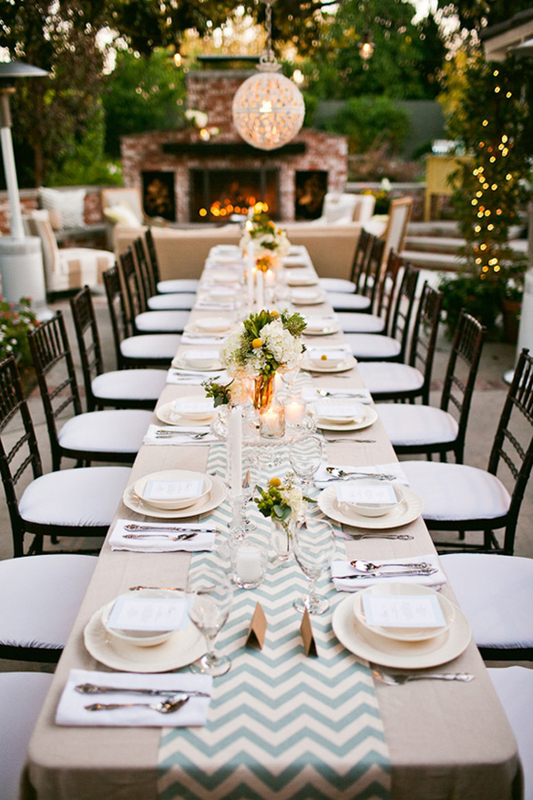 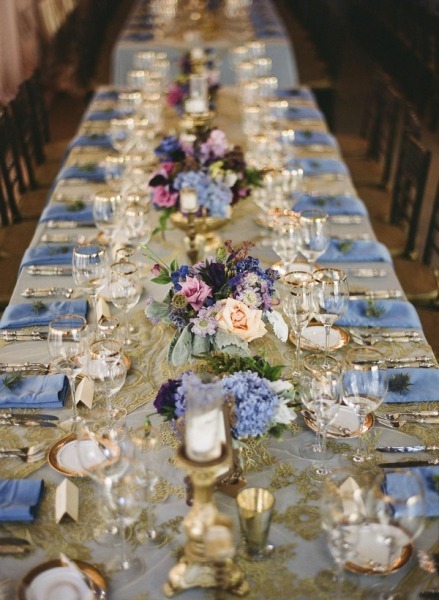 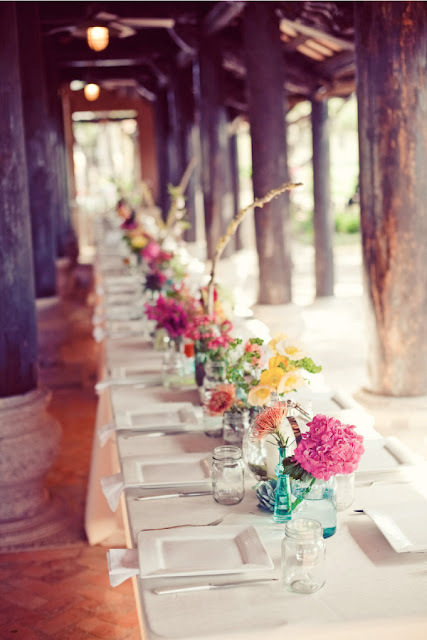 Long tables at wedding receptions are making a comeback at weddings and is a trend I'm starting to love. 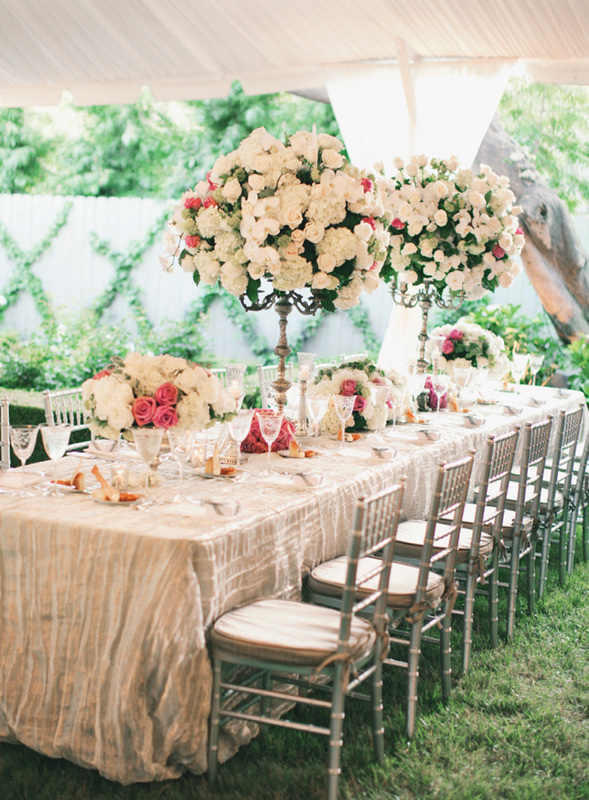 Long tables are great and they provide a dramatic effect yet give you the clean and elegant look your after. 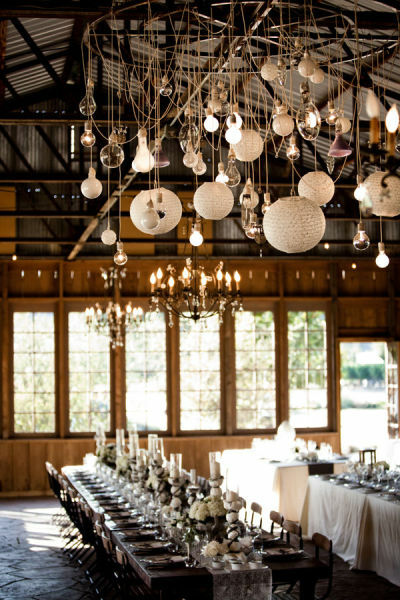 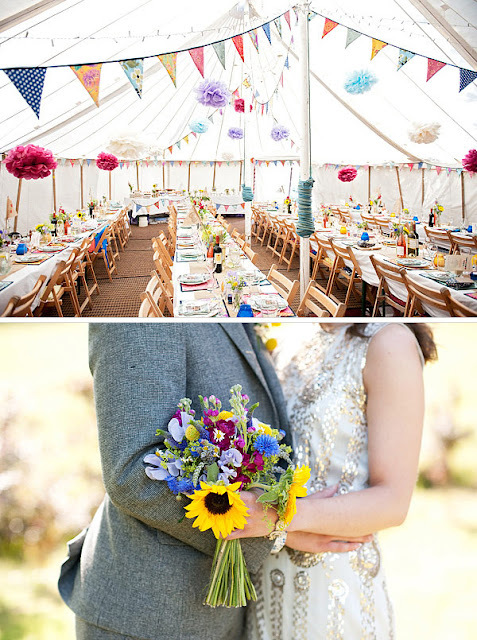 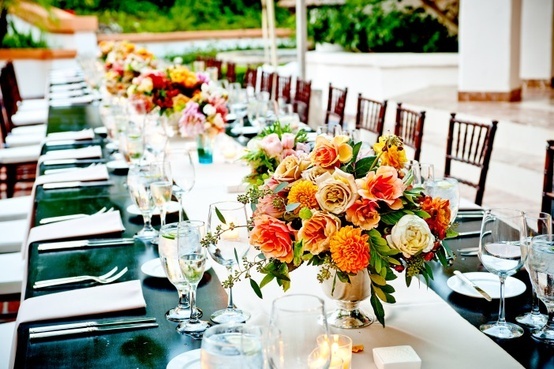 You can still decorate it with colorful elements including centerpieces, individual place settings and soft lighting. Long tables give you the option of decorating the table differently from round tables because you can have more than one centerpiece. 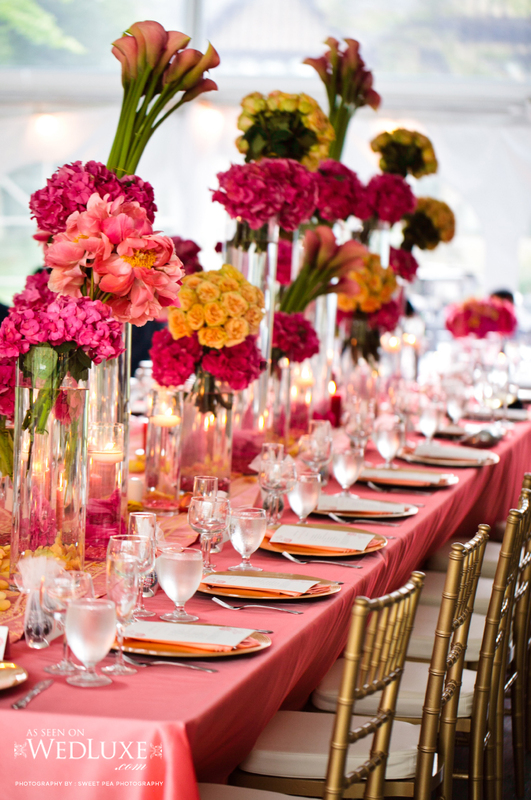 You can have centerpieces adorn the table in various types, sizes and height. 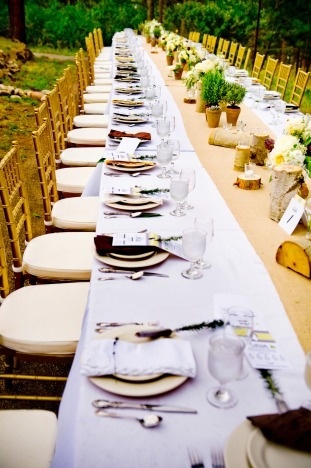 For years, round tables for the wedding reception have been the top choice for Kentucky brides. 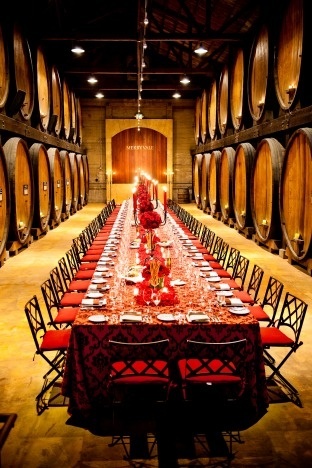 Round tables encourage an intimate atmosphere where everyone at the table can mingle and not feel left out. 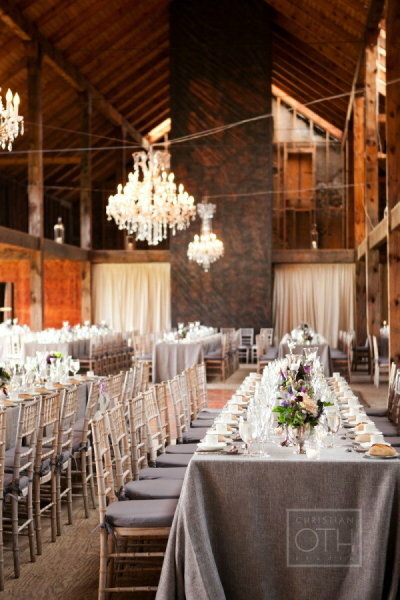 But if you are looking to break away from the traditional round table perhaps a long rectangular table is the right direction for you. 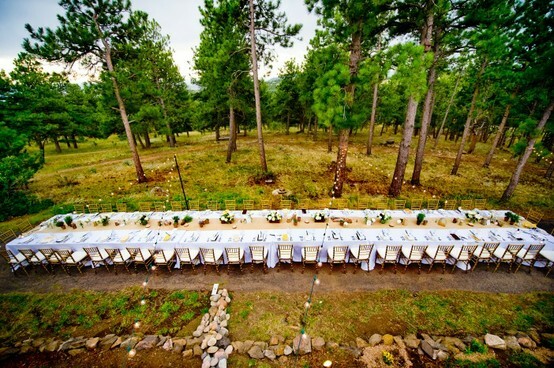 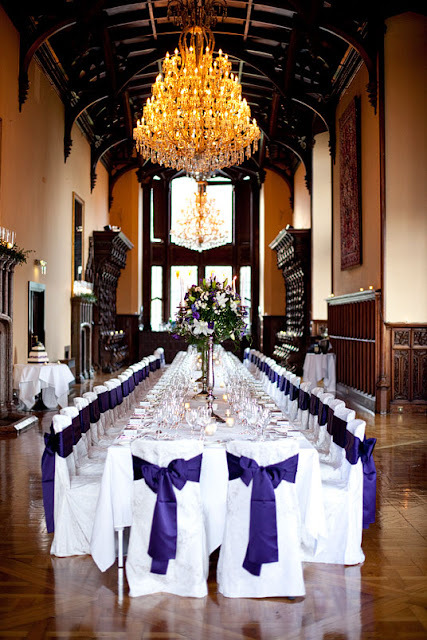 Long tables for the wedding reception creates a feeling of a formal family dining experience at a wedding. 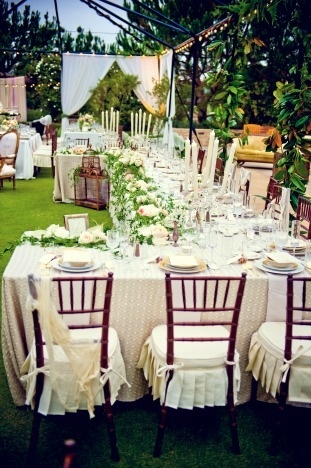 They give guests a chance to have conversations with a lot more people and guests like the idea of being face to face. 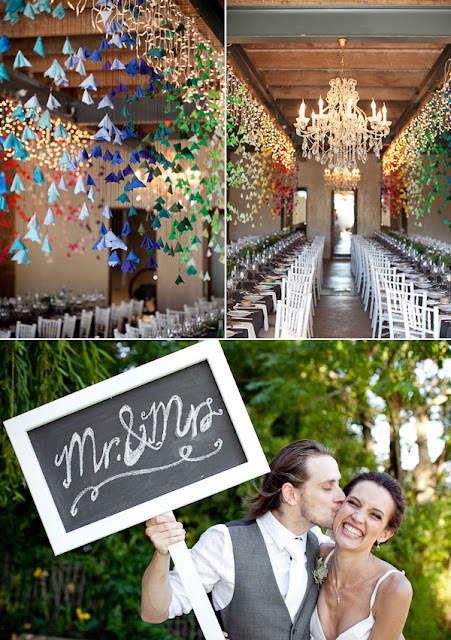 Here are some great ideas that we've found for you. 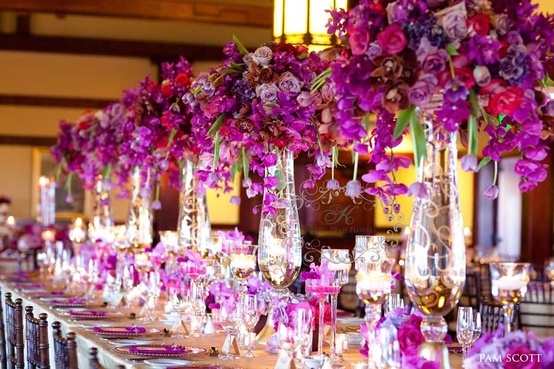 If you're in need of beautiful decorative items to put on your tables, have a look at Layla Grace. 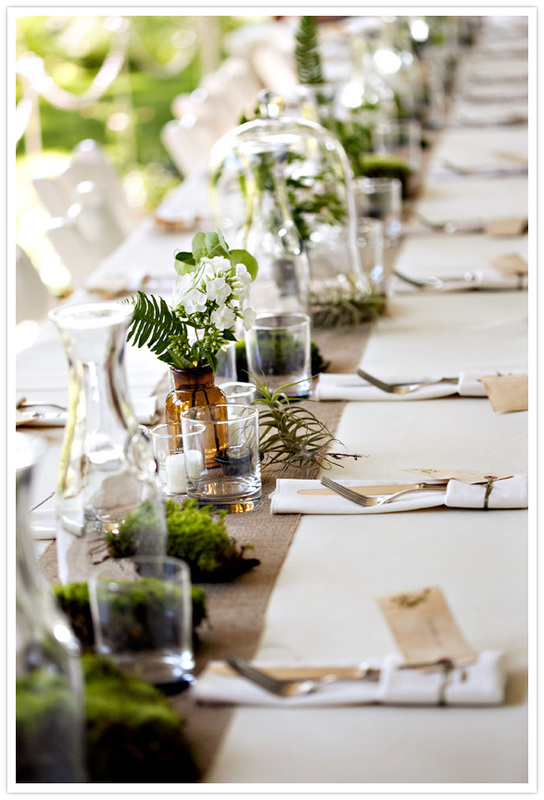 They offer a variety of items, such as plates, glassware, tablecloths and runners. 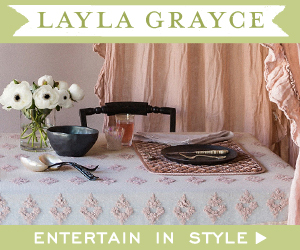 Click on the image below to check out the various items offered by Layla Grace.